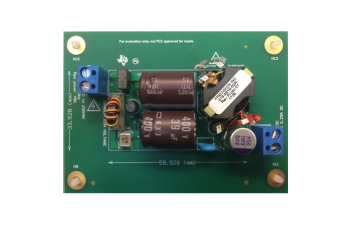 The UCC28780EVM-002 demonstrates high-efficiency and high-density for a 45-W off-line adapter using the UCC28780 active-clamp flyback controller at high frequency nominal 300 kHz using GaN MOSFET Power ICs, NV6115 and NV6117. The EVM also uses the UCC24612 synchronous rectifier controller on the secondary side. The output is regulated to 20 Vdc over an input voltage range of 90 Vac to 264 Vac. The UCC28780 controller operates in several adaptive modes to minimize power loss over the full line and load ranges.